We’re incredibly excited to share that Overcooked! 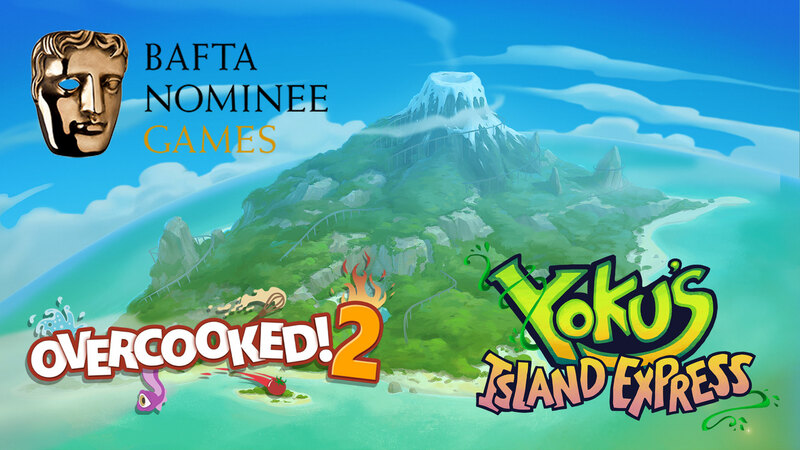 2 and Yoku’s Island Express have both received multiple award nominations at this year’s BAFTA Games Awards! Ghost Town Games, Villa Gorilla and Team17 are all incredibly happy and honoured to have received these nominations and wish the best of luck to every nominee when the BAFTA Games Awards ceremony takes place (and is streamed live) on April 4th. You can find more information here. Yet to try these games? Yoku’s Island Express has a free demo available on Steam, PlayStation 4, Xbox One and Nintendo Switch. If you want to continue playing past the demo, you can currently pick up the full game at a discount on PlayStation 4 (EU -60% / US -50%), Xbox One (-67%) and Nintendo Switch (-50%). Overcooked! 2 is also currently on sale on PlayStation 4 (US -30%). Want to make sure you’ll never miss news like this one? Sign up to the Team17 newsletter and we’ll keep you in the know!